To quote John Lennon – the dream is over, what can I say? Although it saddens me to be writing about another cup exit, games like this always require perspective. Sure, a proper cup run would be magical but tonight’s team was a far cry from the one which matched Man United on Saturday, with Connor Coady and Jonny the only survivors from that starting eleven. Indeed, one glance at an experienced Leicester line-up left me fearing a long evening was ahead. 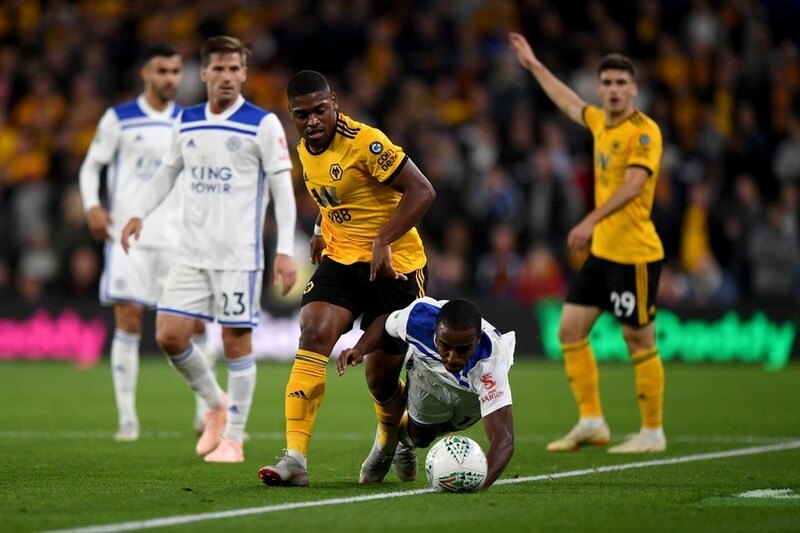 The early stages suggested that would be the case, with Wolves seeing little of the ball and the chief threat of Adama Traore and a returning Ivan Cavaleiro marshalled out of the game by an experienced opposition defence. However, as is so often the case with Nuno’s charges, confidence grew as soon as they began to impose their style of play on proceedings. Though our wingers never managed to hit peak form, they gave the Foxes defence plenty to think about both on and off the ball. Traore had some particularly stand-out moments, turning in a performance that once again teased his clear potential. His counterpart was not quite so effective, but it was nonetheless great to see him in a Wolves shirt again after an injury-imposed hiatus. Our real true stand-out performers were some of the more fledgling members of the team, with Ruben Vinagre hugely impressive in both his defensive and offensive play. He seemed completely unperturbed by the fact he was up against Ricardo Pereira, a Portuguese international. Kortney Hause also offered a timely reminder of the quality he offers in reserve, and was seldom troubled by a Leicester attack which included the experienced, title-winning duo of Shinji Okazaki and Jamie Vardy. But it was Morgan Gibbs-White who really caught this blogger’s eye, turning in a performance that once again belied his teenage years. Despite having to contest a midfield battle against two hugely experienced players in Adrien Silva and Vicente Iborra, our homegrown playmaker saw plenty of the ball and played a huge part in the positive aspects of our play. It’s clear to see that he is a player growing in confidence with each passing game, and that will no doubt thrill a manager who has already placed a great deal of trust in him. Our academy has given us plenty to be excited about in recent years, but for my money Gibbs-White is the most exciting prospect it has produced in many a year. It’s been a while since I’ve been this excited about one of our own. Individuals aside, this was an evenly contested contest that neither side deserved to win. That being said, I don’t think anyone will begrudge Danny Ward for ending up on the winning side after he saved three penalties in the shootout. Admittedly, his help was caused by the fact that we seem to be pretty hopeless at taking penalties. And so we move back on to the league, where things are all rosey at present. Southampton at home looks a winnable fixture, so hopefully we’ll be skipping out of Molineux next time around. Great write up mate and agree there are plenty of positives to extract from individual performances and a generally decent outing from our second string against a strong Leicester team. With every passing week the Barry Douglas sale makes more and more sense. Nuno obviously saw Jonny as his main man and there was no point signing someone of Vinagre’s obvious potential on a permanent deal if he wasn’t even going to make the matchday squad. He’s a decade younger than Douglas so makes perfect sense in my view to bring him in and take the tough call to offload one of last season’s better performers. Arguably you could have kept Douglas as cover, but again is he going to be happy rotting away in the background? What does that do to squad morale? Seems to me like the club got that one right, regardless of what Douglas goes on to achieve at Leeds. Agree about Gibbs-White too. Wasn’t keen on what I saw in early outings last season, but he’s really come along since and the confidence is starting to flow. I’m still not sure of his best position. He doesn’t have the range of passing to do what Neves/Moutinho can but he’s certainly got the mobility and intelligence to do a job in there. I suspect he’d be better further forward though. Unfortunately for him, we’re incredibly well stocked in that department, especially now Cav is back too. Interesting to see how his role develops over the course of the season. A pat on the back for John Ruddy too who showed he’s still motivated and capable if called upon. He made some amazing saves and didn’t deserve to be on the losing side. Penalties were utterly appalling. Saiss and Jota should hang their heads for particularly weak efforts. The only one who struck the ball with any conviction was Ashley-Seal – another feather in the cap for another promising young talent. A fairly decent game given the two opposing teams, Leicester’s quite strong and Wolves second string. As said above, ” they ran, chased and harried the legs off us for the first 30 minutes”, but after that, I really feel we controlled the game, a view backed up by my mate Nuno. Loved the performances turned in by guys who see very little minutes at this level, I too will single out MGW, Vinagre, Coady and Dendonker. That being said, our second string held a good Leicester team so that tells me how far we’ve come from Lambert and Jackett. Losing on penalties is never good, but I went from the Northbank with the Twix’s happy and content, having watched a good game of footy. I don’t know what happened to Demari Gray, but I wish him well, never good to see someone stretchered off. My thoughts go out to Brompton who (I’m pretty sure) travelled a rather long way for a nil nil and penalty disaster. There might well be others who did a similar thing and are now wishing they hadn’t bothered. There are some good things to take out of the game though if Ben’s write up is accurate, and it’s normally pretty damn good. 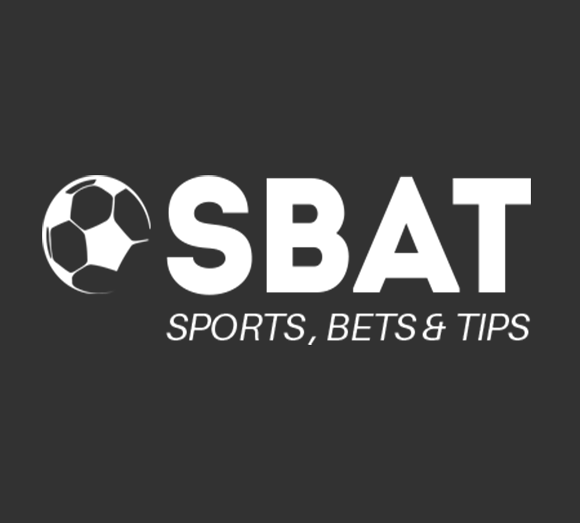 Morgan Gibbs-White and Ruben Vinagre being two of them. Wembley dream over, for the moment, Premier League dream still alive and kicking. Thanks for the kind words mate, much appreciated. I cannot understand why so many fans are happy to be out of one of only two chances of actually winning something as long as the second string get a run out .It is the same every year .There is no reason a strong team could not be put out as Leicester did .I guess I will continue to be disappointed every year .At least Leicester are giving themselves a chance of winning a trophy .We are not going to be fighting relegation after all . I think people are more pleased with a few individual performances rather than going out. How ever I am 100% in agreement with you that we should be going for one of the cups, had we won this game it’s only 3 games till Wembley. We aren’t going to win the league and I can’t see us in a relegation battle let alone being relegated so why not have a real go. The football is great and 3 years ago I’d of ripped your arm off had you offered me where we are now, maybe I’m just being greedy?? I agree Sven we’re not going to be relegated nor are going to win the Premiership but we might, with a bit of luck and with the wind in our sails make top 6 or 7. Maybe Nuno has that in mind. Totally agree, I actually feel like I have been robbed. If they can play football on Tuesday and Saturday in the Championship most weeks, why can’t they do it on the odd week now. We missed a great chance to progress in this cup, but threw it away. There are other avenues to use to get fringe players more game time. There were a lot of families at the match last night with lots of kids (potential supporters), I took my Grandson and daughter and they were not impressed at all. If supporters want to see potential players, we can watch them in Premier League 2 (Great result against the black cat’s by the way). I hope we take the FA Cup a bit more seriously. I agree with that, but In three years time, will probably not even remember the league position. I would remember a trip to Wembley even more so winning a trophy. There isnt much difference between finishing 8th or 12th in my opinion. Winning a trophy would long live in my memory. I was feeling confident when I saw that Leicester had made 8 changes from their w/e line-up, but was amazed to see how strong their 2nd string line-up is. Lots of experience in there, unlike our line up, so no disgrace in drawing with them. But our penalties were dreadful. To be honest, if we couldn’t score when we had the 4 on 2 breakaway we didn’t deserve to win. Such chances MUST be taken at this level. Thought Ruddy was composed, Dendoncker looked solid as did Hause (despite Vardy’s Ramos impression), Saiss worked hard, MGW looked class in the 2nd half and good to see Cav back. Traore showed why the better option (currently) is to use him as an impact sub. Vinagre showing signs that he is adopting the physicality needed in his defensive duties. Shocked to see the abuse Leo is getting on Twatter from people who call themselves Wolves supporters. Totally agree with your perspectives Rasmin. After all, let’s not forget we were drawn against a top Premier League side who were English champions just a couple of seasons ago. The fact that so many of us just “expected” us to win this, and are miffed that we didn’t, just shows how far we’ve come. We now just expect to beat top clubs with our 2nd team, and on another night may well have! Awesome! It wasn’t to be this time. We can’t win them all. Many individual positives as already pointed out. We move on with our march forwards. Saints on Saturday! Bring them on! Okay, I expect a few dislikes coming my way. Whilst I appreciate the young lads playing quite well, giving them match time, and holding a strong Leicester side for 90 minutes, I still believe we missed a golden opportunity to progress further in this competition. Was it just me, or did anyone else notice that Traore seemed to be breathing very heavy as if out of breath. He gave the impression of being unfit. Leicester were certainly beatable last night and I feel that we would have beaten them if we put out a much stronger side. I just feel that 9 changes was too mucb. I would have enjoyed a good cup run. Watching the game from the Stan Cullis Lower I was surprised how comfortable it was and what a good view I had. The concourse was also much larger and better than the Steve Bull Upper. All in all, not totally disheartened, as our young lads tried their best, and I even managed to get home by 01.35 hrs. See you again Saturday guys. Nuno is saving his cup run for January. He wants us to be in the top four and established, then he will unleash the hounds/Wolves. FA Cup/ Champions double is much more prestigious than League Cup/Champions double. You may say I’m a dreamer, but I’m not the only one………………………to continue the John Lennon theme! We might have lost, but our second team played well. The same cannot be said for sandwell and Man Untied. Maureen has got major issues! Thanks Clive, but ……. League Cup, FA Cup and Champions Treble would have sounded even better. Anyway, enough of that before I come across as being as negative as a certain bloke called Tim, who I understand is a good friend of yours. Clive and I are no longer on speaking terms. I will endeavor to be a happy clapper from now on. Thanks for that but, the League Cup/FA Cup/Champions Treble would have sounded even better. Anyway, enough of that before I come across as negative as a certain bloke named Tim, who I understand is a good friend of yours. I’ll have you know he’s my long lost brother!! My impression of Traore is that he’s a speed merchant and not much else. Certainly Costa is a vastly superior footballer and Nuno is dead right to be using Traore as an impact sub instead of a starter. Mind you, 18 million for an impact sub is pretty questionable I’d say. It is, of course, disappointing to have exited a cup competition so early, yet again. But I guess the second string played, not because the cups don’t matter, but because the second string do matter. Our first eleven have remained unchanged throughout our first six games in the Prem and, barring injury or massive loss of form, that situation could well continue. The cups, therefore, will be the rest of the squad’s only chance for minutes of competitive football. If they are to be called upon in time of need, those minutes could be vital. This is the real pity about our early exit, apart from Brompto’ having something of a wasted trip. As soon as I saw the Leicester line-up it became obvious this was no stroll in the park. And so it proved, although we did get more of a grip on proceedings after a very sticky start. Having seen the penalties, and thinking of the missed chances in the league, the back of the net seems to have a ‘Do Not Disturb’ sign hanging on it. Apart from young Benny Ashley Seal of course. Now that’s how to take a penalty!! Particularly for home league games I would be tempted to have both Ashley-Seal and/or instead of Bonatini on the bench. I was impressed by his 10 minute cameo at Sheff Wed and how he took his penalty last night. It seems to me he has the appetite and selfish streak to score goals that all the best strikers have. i know Bonatini has different commendable attributes but even when he was netting in the first half of the Championship season, he has never looked like a prolific striker to me. A lot of his good work is outside the box/ with back to goal. A-S has the pace to keep up with the rest of our forward line and it appears the instinct to get on the end of some of the deliveries we get into the box. i therefore think he will score more goals than Bonatini even if he doesn’t add as much perhaps with his all round play at this stage. Let’s see if Nuno gives him a go, now the EFL is no longer an option. I tend to disagree with some of the comments regarding our team selection against Leicester. This so called ” Cup ” event is of diddly squat importance, and it was surely far more important to ensure that our first team regulars are well rested in readiness for the upcoming Southampton game. Also, our back-up guys urgently need playing time. My disappointment is that the changes did not go far enough. I would liked to have seen Watt and / or Goncalves given a start in midfield, Giles included as a wing back, and with Ashley Seal up front. Only if these young guys get the opportunity to play against senior opposition will we be able to judge just how advanced they are at this stage in their respective careers. Strongly supported the signing of Leo Bonatini. He’s three years younger than Raul Jimenez, he showed his potential in the first half of last season and, IMO, is a very good signing for the mid-term. Having said that, I’m with you, Mike. Nuno should rest Leo, allow him to get out of his deep and long slump and stop exposing him to the fans at a time when he needs his confidence restoring first. Me too, I would like to have seen Watt, who did well at Sheff Wed, as well as the young on fire (in the U23s) Benny Ashley-Seal (instead of Leo). We also have another 19-year-old striker, Niall Ennis who’s in the queue to get some top level experience. Normally I’m uncritical of Nuno but this is an exception, and I just hope it doesn’t reveal a stubborn streak that we could do without if things ever start to go wrong. Mmm I thought we were pretty disappointing last night, penalties apart, Leicester for me dominated. Our changed midfield duo did not convince me at all. Don’t think Morgan Gibbs White is a deep lying central midfielder. Admitted I know I shouldn’t moan given the superb early start to the Prem season. Dendonker looked good, solid & a footballer who looks comfortable & skilful. He certainly deserves a place on the bench at least. Traore looked good in parts, Vinagre also impressed, Hause strong at the back but needs work on his distribution, Ruddy excellent save & as said above deserved to be on the winning side. Anyway I’ll shut up my moaning, onwards & upwards to Saturday. There’s something terribly wrong with the structure of the game that it needs a cup run to give squad players real competitive game time. The likes of Ruddy and Hause are caught between U23 and Premiership teams and that’s no way to run things. What’s the incentive for squad players, especially the real specialists such as goalkeepers? Doesn’t it all increase the known problem of moving from development team success to first team selection? There must be a better way, especially as the early stages of the Carabob Cup are a bit of a joke/lottery. Agree Peak remember the central league used to work. Not sure Mourinho would have been quite up to it! He’d have stood about in midfield whingeing about poor service. How about if I say something positive about Leo? He has less minutes but more goals than both Jota and Costa combined, I think, and only one goal less than Jimenez. He made a brilliant pass to either Gibbs-White or Traore, which if Neves or Moutinho had made, would have been on the highlight reels. It’s not his fault if the wingers are not scoring when he sets them into the clear. Is that positive or negative? Not sure anymore. Good positive point Timbo. I never really noticed that, thanks. Disappointed, but that’s football, full of ups and downs. Good to see Cav getting some play time. Like Nuno said we have a good squad that’s able to compete in the Premier league. Oh dear, Lawro has at last predicted a Wolves win on Saturday! His analysis of why is fair enough, though, and positive for us. Just hope his change of heart isn’t a bad omen! So the pundits are finally watching the Wolves play and seeing what we have seen for the last 14 months. Let’s take a wee peek back at the good times that got us to this level of Euphoria.